Provence keeps drawing us back. We’ve been there in all seasons, except Winter. It is definitely a wonderful place with lots to offer; the art, the Roman history and ruins, the climate and of course the food. We’ve visited with and without bikes and enjoyed it every time. It is easy to access from Paris by rail or through the small, accessible Marignane Airport.. There is only one road out of the airport, so you leave the way the cars do and follow the toute directions (all directions) sign. This is a small airport; but, it puts you in the heart of Provence. You’ll be watching for a left turn toward Salon. Most cars will be heading to the Freeway, instead. Soon you will be joining the D20 toward Salon and Berre. In about one km, you join the N113, which is less scenic; but fairly direct with only gradual climbs. Then, in about 4 km, take the overpass and on to the D21 with signs to Berre L’Etang. Unfortunately the scenery include oil refineries; but, soon you will see signs to St. Chamas and Miramas and improved views. We ride next tot he bay and turn onto the D10 toward St Chimas and Miramas. 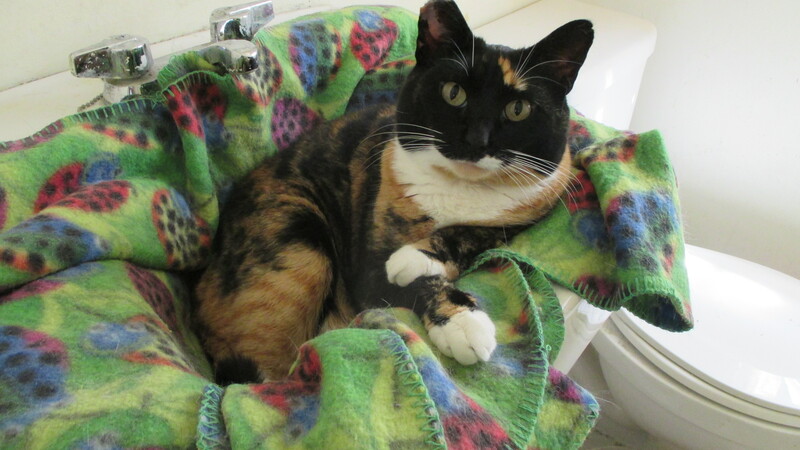 Chimas is about half way to Salon and makes a good stop for refreshments. Note the triple arched aquaduct. Once we left Chamas on the D10, Miramas-Le-Vieux can be seen as an ancient fortress on the hill. This is the climb of the day, so it was a good idea to make sure we had out liquids for the ride. Pass through a short tunnel and continue on the D10 through Miramas & look for signs to Salon. After crossing the rail tracks, we merge with the N569. We try to avoid N roads; but, sometimes it’s unavoidable. Fortunately we’re off the N road in about 2km and on the D69, which takes us directly to Salon. We head for the Centre Ville and once we check into out hotel, there is time to check out the town and the Chateau. We’ve earned a good meal and a restful night’s sleep for out next day’s adventure. This will be a climbing day. We leave Salon; following signs to Eyguieres. 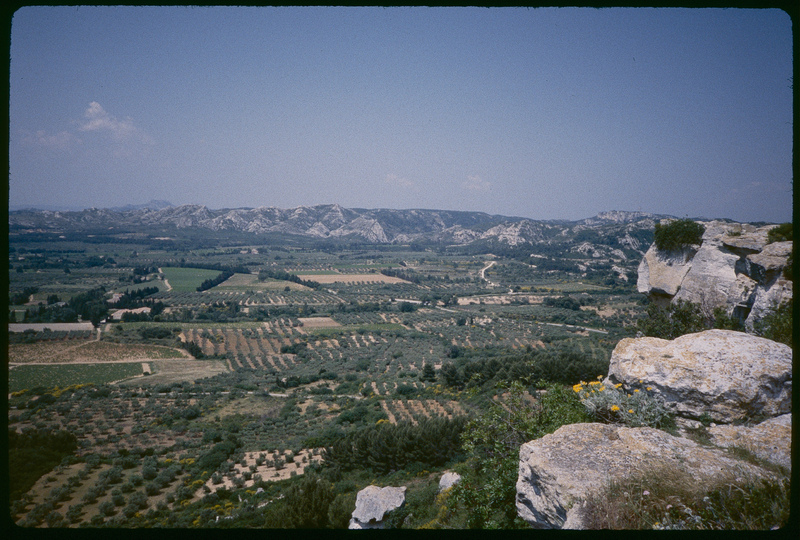 This part is a gradual uphill and soon we catch out first glimpse of the Alpilles on the horizon. Ride past the grey green olive groves and through tree lined Eyguieres. We’re still on the D17 and now headed toward Mousanne-Les-Alpilles. In about 4km we go down a winding hill into a valley and at the bottom we continue on through Mouries; following signs to Mousannne-Les-Alpilles. Before we actually reach Mousanne, watch for the turn off to Les Baux and St Remy. Here is where the climb begins. You may regret some of the items packed in the paniers, as they will feel a bit heavy, as you wind steadily upward to Les Baux. It’s over two km up the hill; but, it is a recommended stop. We parked and walked through the village and the 800 year old ruins, beyond. The views from here are quite spectacular. We also enjoyed a cool refreshment in the village, before heading back down the hill for our last climb today, over the Alpilles and into St Remy. 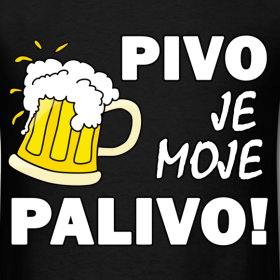 By now the temperature is pushing 40 centigrade, or about 100 degrees, so we paced ourselves and were glad we had plenty to drink. On the downhill, just before St Remy, are the Roman ruins of Glanum, with a nice visitors center, as well as other Roman ruins. St Remy is only about a km further. The Tourist Information was very helpful and being avid admirers of the artist Vincent Van Gogh, after checking into our lodging and dropping the bikes, we headed out to walk the well marked route of some of the paintings he made while receiving care in the local hospital. The replications of the paintings let you compare then and now views. We earned a cold beer and some delicious olives as a snack. Today we will be crossing the Rhone twice on our way to Avignon. It can be a bit tricky getting into Avignon and there are several options. We picked a fairly level route, except for a climb past St Michel de Frigolet abbey. Leaving St Remy, we follow signs to Millane, where we skirt around the Centre Ville and follow signs to Graveson. Then we follow signs to Beaucaire and Tarascon. 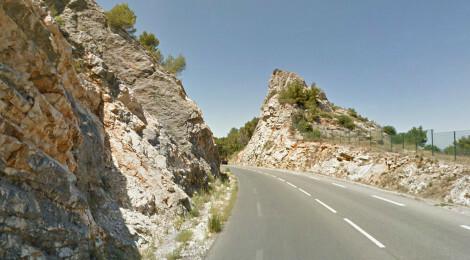 When we reach the big intersection at the N570m we make a left toward Beaucaire. This is surprisingly not a bad N road and much of it is lined with trees. After a few kilometers, we make a left turn with signs to Barbentane and St Michel de Frigolet. Head up the ramp and then over the N570 on an overpass. This takes us to the D81 and the climb to the Abbey. The switch backs make the climb less difficult and the view of the ancient fortifications is striking. We parked and walked through the entrance to hear the chants of the choir practicing. Then we ventured on downhill and then through Barbentane. Then we watch for signs to Pont Araneau and the D35. Exit the bridge over the Rhone and take a right turn to the D2 beside the Rhone. As we near Avignon, we follow signs to Villeneuve, pass under several rail trestles and ride on to the second auto bridge, called Pont Avignon. This has a bike lane and we exit with one of the portals of this ancient walled city, just ahead. 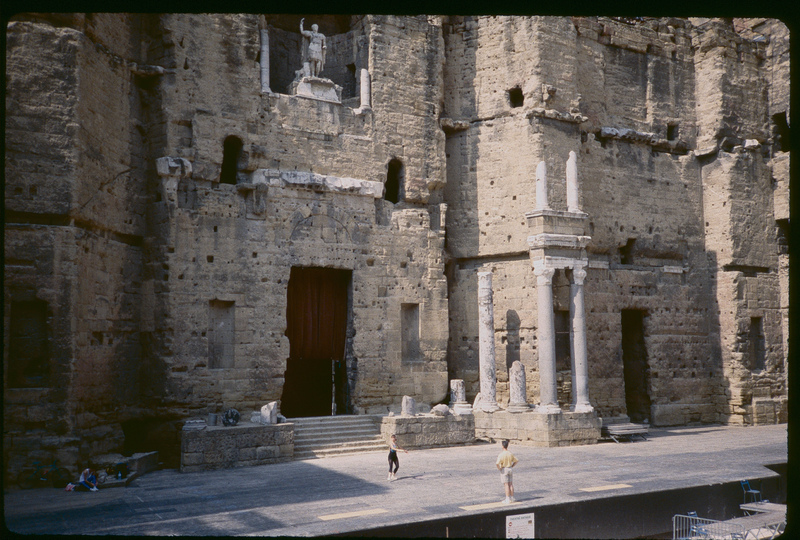 If you come in July, the entire month is a festival of theater in Avignon and the streets are milling with costumed players and crowds. It can be difficult to find affordable accomodations so it’s best to book well in advance. This city deserves the take to stroll, mingle and explore. Even if you don’t visit the prominent Palais de Popes, check out the garden behind it and admire the views. 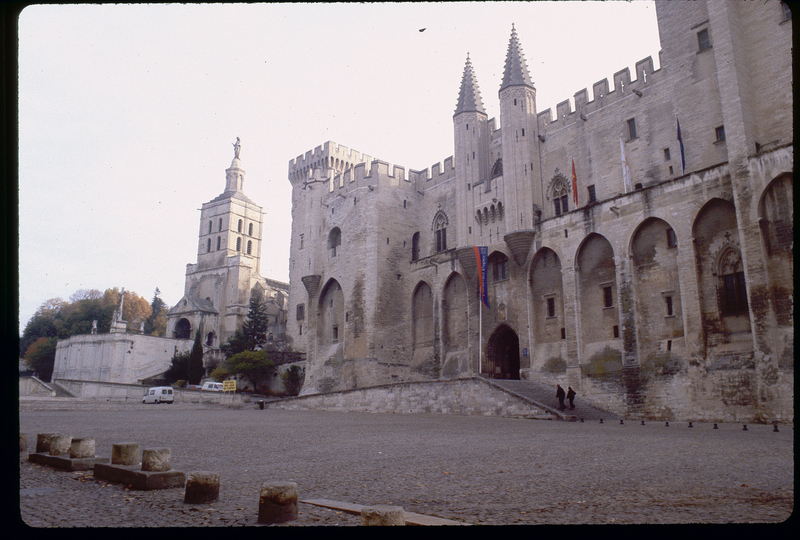 We exit through Porte San Lazare on the northeast corner of the ramparts, which surround Avignon. This takes us out of town on the busy N100 at first; but, we quickly veer right and follow signs to St Saturnin Les Avignon to the D28 exit to St Saturnine. We climb to the hill above town and then downhill into St Saturnin itself; a nice place to pick up picnic fare, as we are heading into wine country. We leave town and look for signs to go left to Vedene and Sorgues. Then after Sorgues we follow signs to Chateauneuf-du-Pape, over the Ouvez River and northward past some vineyards. We continue following signs to Chateauneuf, around several roundabouts and take the last exit onto the D17, which brings us “officially” into Chateauneuf wine country. The principle wines here are Chateauneuf du Pape and Cotes du Rhone red wines and we pass by a number of vineyards and chateaus. We picked a spot for a picnic and enjoyed our some wine and lunch and laid back for a little doze on the grass. We recommend moderation, as far as drinking. France has strict drunk driving laws and the hot sun, combined with some wine can be a bad combination. It was a good choice to rest a while before our last leg through the town a Chateauneuf du Pape and then on to Orange. We had booked a charming place to stay, just behind the well preserved and still used Roman Ampitheater. Don’t miss a visit inside, where you might catch a rehearsal. Near the theater ares excavations of temple ruins dating to the second century AD. 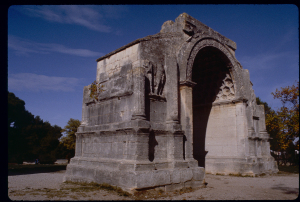 There is also a triumphal Roman arch from 20 BC. We thoroughly enjoyed this historic town. 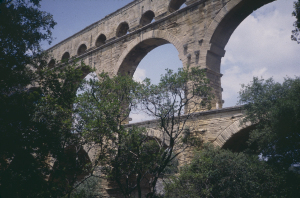 The following day we head out of Orange to visit the iconic Pont du Gard Aqueduct. Leaving Orange we follow signs to Roquemaure and in about 8km, we reach the Rhone river and cross the lightly traveled two lane bridge. Most cars are on the Freeway. Ride through Roquemaure and then follow signs to Rocheforte du Gard and soon we find ourselves on the D976 and in open country. After Rocheforte du Gard, we follow route signs to Remoulins. There are several traffic circles along this section and the traffic will no doubt the traffic will increase, the closer we get to Remoulins. We’ve been through this town several times of the years and each time it is a traffic bottleneck. We persevere and take the route from Remoulins that directs to Pont du Gard Rive Gauche, or the left bank. There are several routes to get to the monument; but, we like this one. As we approach the aqueduct, there is now a parking lot and entrance kiosk. Thinks have really changed over the years and now there are restaurants and information center and all the trappings you expect of a major national monument. You can, however, ride all the way to and over the aquaduct and spend some time roaming around, taking pictures and exploring the Gard river below or trails above. No doubt there will be river rafters on a summer day. It is truly amazing how the Romans designed and build this span to carry water from Uzes, up the hill, all the way to Nimes, nearly 50 km away. What can I say, those Romans were amazing builders. We spent plenty of time here and then headed out to the tiny hamlet of ST Hilaire D’Ozilhan, where we spent the night. This ride is nearly flat and starts by our returning to busy Remoulins and then following signs to Beauciare and Arles. Follow this road straight through Beaucaire along the main boulevard and then take the small bridge and not the one across the Rhone to Tarascon. Now we watch for signs to Arles. The D15 takes us through Forgues and on toward Arles. 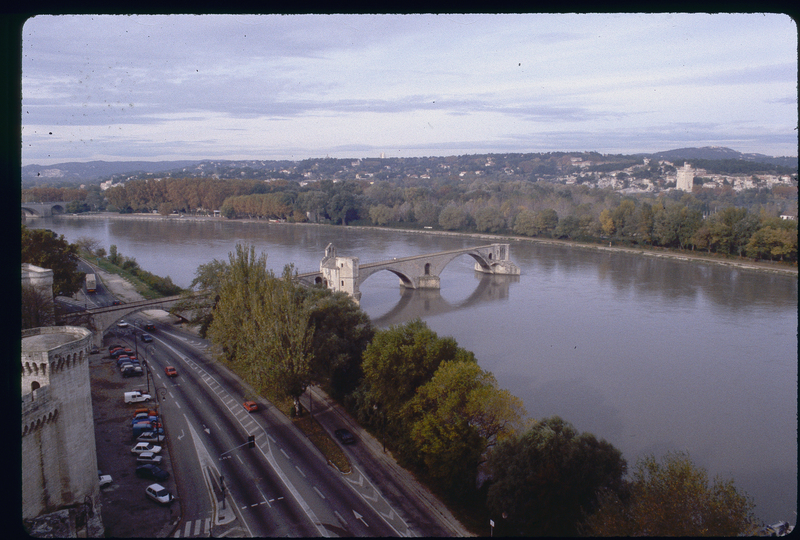 First we cross the narrow bridge over the petite Rhone and then on we go to the Tranquitaille bridge over the Rhone itself. This is a picturesque approach to the walled city. You can make a sharp left and left again after the bridge to the rampart beside the river. You’ll have to carry your bike up the stairs; but, it’s very cool to look left at the river traffic as you roll along. Alternately, you can continue straight on Boulevard des Lices, the main street through Arles and follow this around the walls all the way to the traffic circle on the north of town and then turn left and through the Roman portal into town. 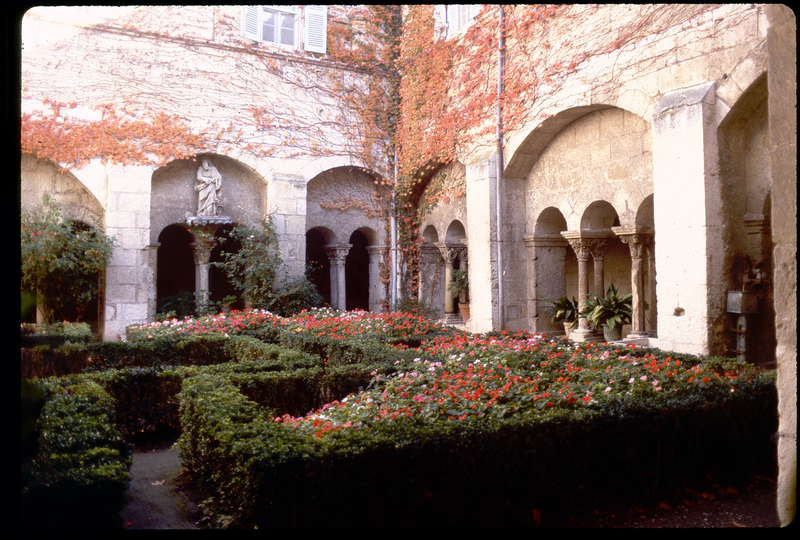 Arles is one of our favorite places to visit. Being big fans of Van Gogh, there are many reminders of places he painted here. 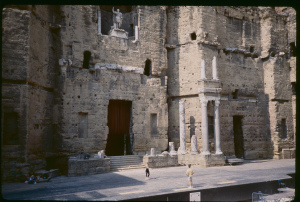 The Roman arena dominates the center of town and functions as a stadium venue even today. No padded seats here. It is definitely worth an extended visit and is very walkable. The Market days here are amazing. Everything you can imagine is on offer in stalls that wrap around the walls. One can pick up souvenirs, fruit and veg, socks, live chickens, etc, etc. The Roman sites are all around town and the excellent antiquities Museum is one of the best museums we have visited. 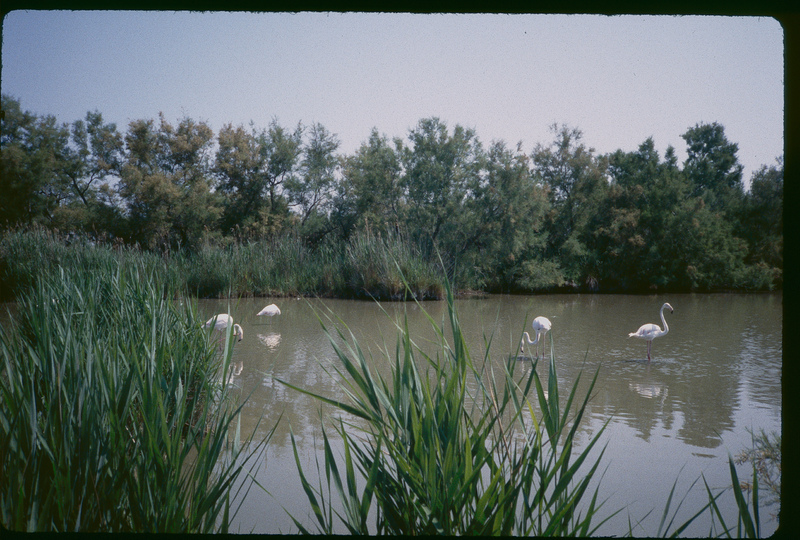 Note: Arles makes for an excellent base for excursions to the Mediterranean at Saintes-Maries-de-la-Mer. 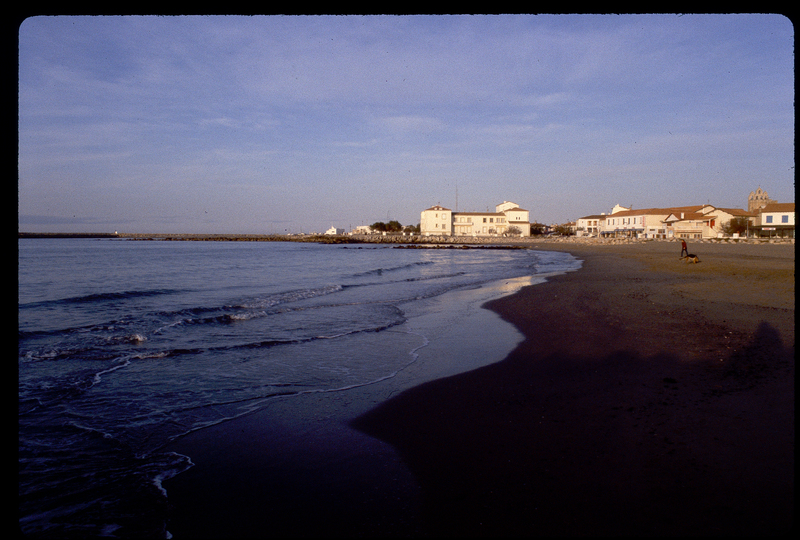 You can dip your tires in the Sea or dip you toes and the feel is as much Spain as a sunny French seaside town. 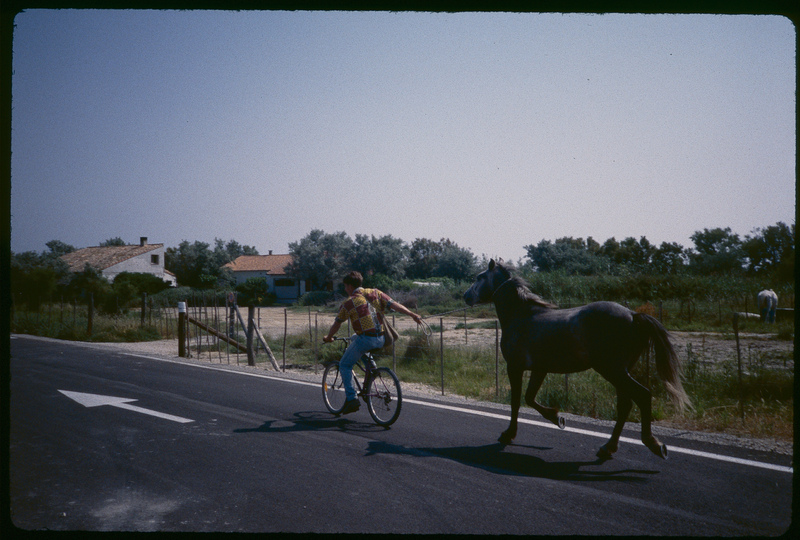 Along the route from Arles to here, the ride is through the Camargue. 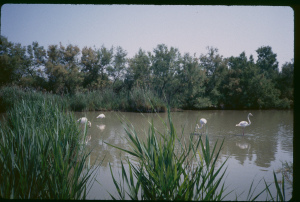 This is France’s marshy version of the Wild West, with a bird reserve of pink flamingoes. You will undoubtedly see the white horses of the region and Gypsy wranglers.